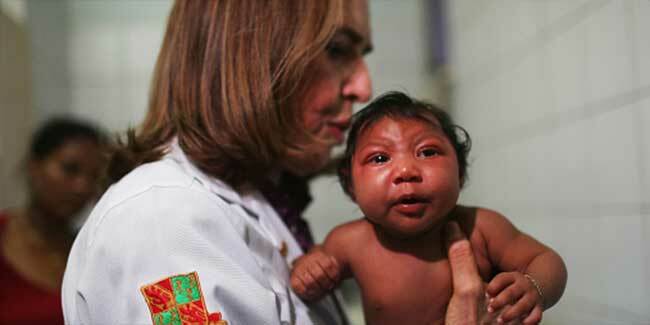 It was recently found that the babies born with symptoms other than microcephaly developed it after few months of birth. As per the experts, it could also be the result of the immune system responding to the original Zika virus infection. Dr. Moore said that another possibility might be that there was still some infection that continued to damage the brain. But she said that seemed less likely, given that follow-up tests for Zika virus conducted on seven of the babies did not find evidence of active infection. In the new study, doctors at two clinics in the northeastern Brazilian states cases of 13 infants who had tested positive for the Zika virus. In 11 of the babies, brain scans taken days or weeks after birth showed significant neurological damage, including improperly developed brain areas, excess fluid in some places and abnormal calcium deposits, or calcification, which probably resulted from brain cell death. At the time of birth the size of the head of these babies were small but was not small enough to be considered microcephaly. So doctors monitored their progress as they grew. These findings show the significance of early neuroimaging for infants exposed to Zika virus prenatally and the need for inclusive medical and developmental follow-up.